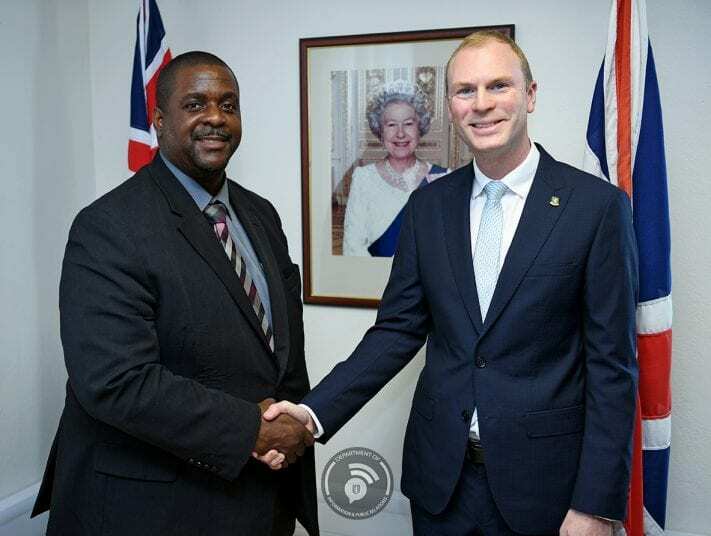 His Excellency the Governor Mr. Augustus Jaspert, Governor of the Virgin Islands has appointed Honourable Andrew A. Fahie to be the Premier of the Virgin Islands. Honourable Fahie’s party, the Virgin Islands Party (VIP) gained a majority of the seats of elected members of the House of Assembly. In a letter to the Governor the elected members of the VIP recommended the appointment of Andrew Fahie as Premier. Governor Jaspert appointed Fahie as Premier after receiving the Writs of Election from the Supervisor of Election, Ms. Juliette Penn and certified the results from the General Elections held on February 25, 2019. Honourable Fahie’s appointment is in accordance with Section 52(1)(a) of the Virgin Islands Constitution Order, 2007 which provides that if a political party gains a majority of the seats of elected members of the House of Assembly, the Governor shall appoint as Premier the elected member of the House recommended by a majority of the elected members of the House who are members of that party.